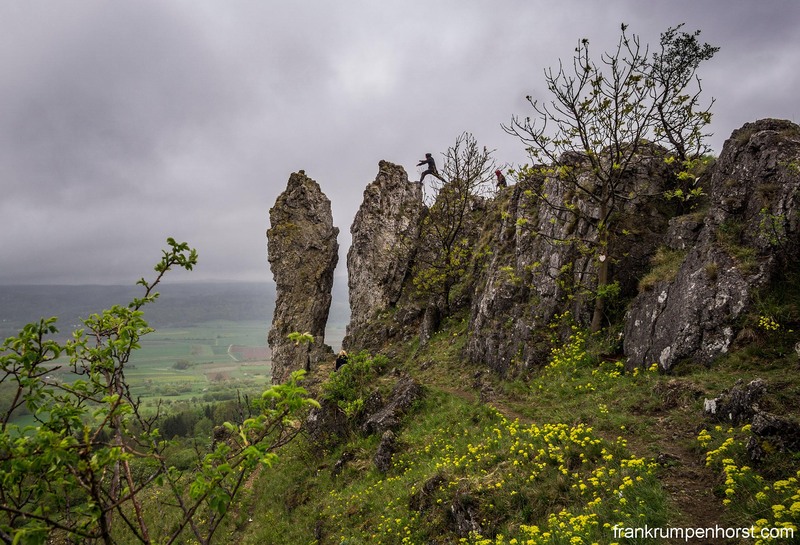 A man jumps over to one of the rocks of the Walberla mountain, May 4, at Franconian Switzerland (Fränkische Schweiz) in Upper Franconia, Bavaria. In the age of romanticism in the 19th century, it was quite common in Germany to describe regions with rocks, mountains and valleys as ‘Switzerland’. This entry was posted in bavaria, franconia, franken, fränkische schweiz, germany, Photo, Photography, switzerland and tagged daredevil, fraken, franconia, fränkische schweiz, hill, jump, mountain, rockl, walberla. Bookmark the permalink.